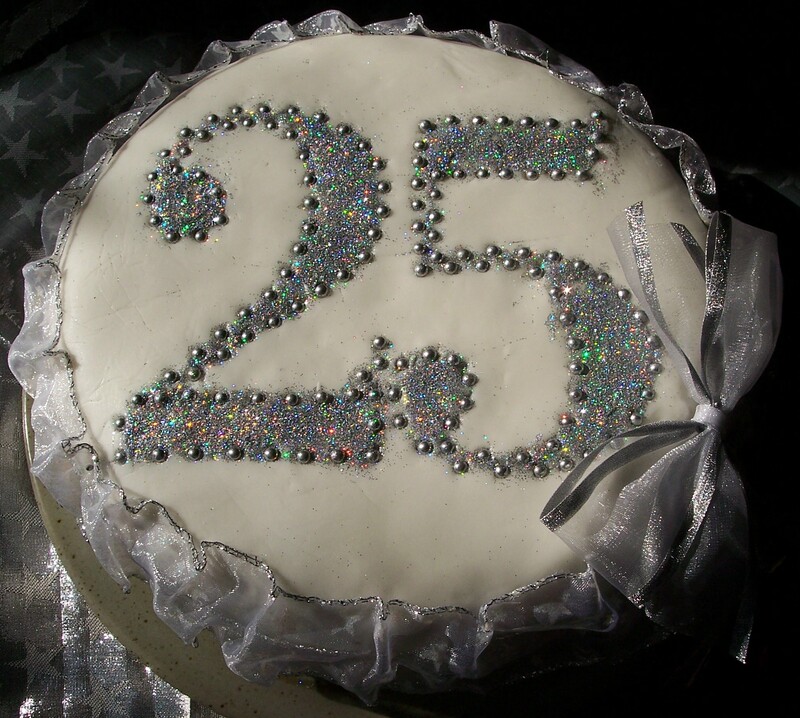 Congratulations not only on the 25 years but for the amazing cake too….btw, I am a BIG cake glitter fan! Thanks Karen for your kind words and wishes. I discovered glitter last Christmas and think it’s such fun to use. I have one question, though: How on earth do you get it to stick to the (fondant) icing? There were no instructions on my little glitter jar and in the end I dampened the area I wanted sparkly to help it stick. It seemed right but I have no idea if there is a better way! Any thoughts – or from anyone else reading this …! That cake is absolutely beautiful! I love that your Nanna got to share the celebration :) I’ll need to give your cake a try, the next time I’m making a celebratory cake. My last one wasn’t a patch on yours! I do hope my nan would have been proud – she was a lovely lady and I remember her well even though she has been gone for many years. 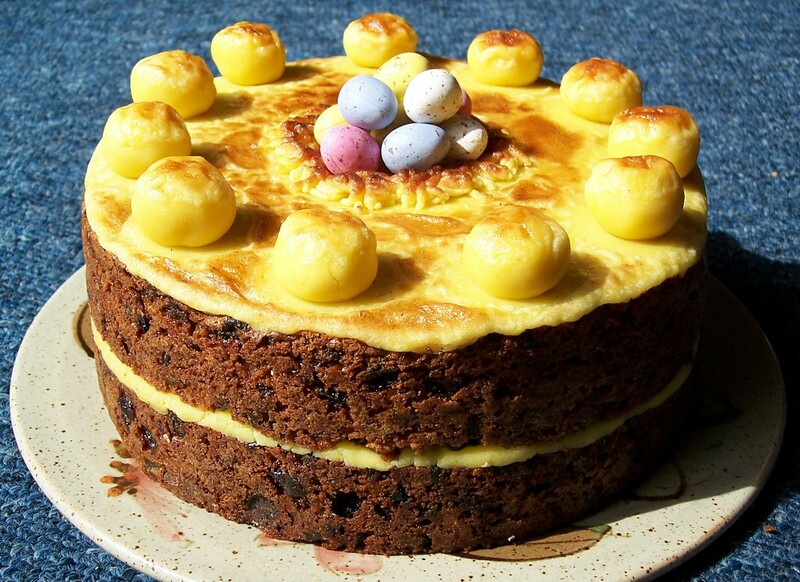 We are very fond of this cake – and not just because of its family connections. 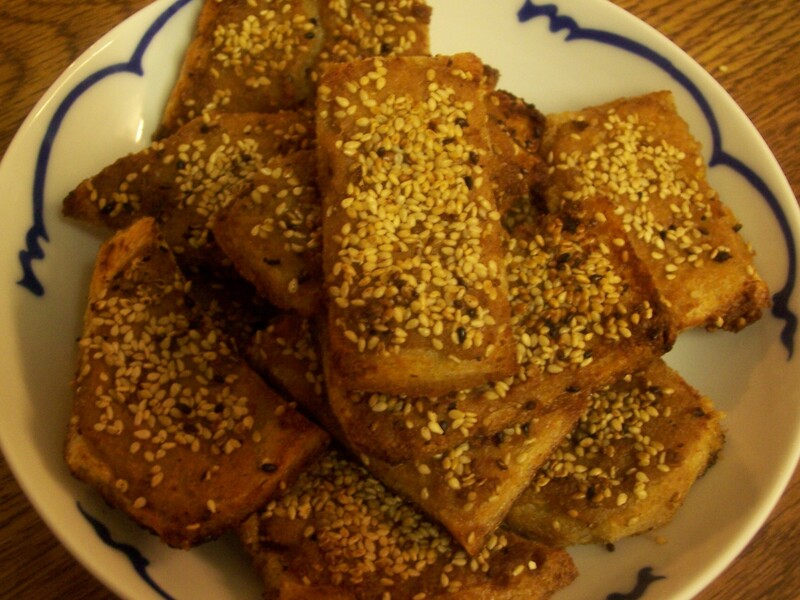 It alwasy comes out moist and crumbly rather than solid, like some cakes of this type – the slices do not always hold together perfectly but it tastes great! I see other cakes which I wonder about trying but in the end I always end up making the one I know and love! That is beautiful, such a simple idea but really well executed. Always the best way in my opinion. Thank you Janice – cake decorating is not really my skill, though I would love to learn a bit more about piping. I decided on something simple to avoid making a mess and spoiling everything. Think I pulled it off, though perhaps a little more colour? Silver can be very dull. Lovely cake and congratulations – that’s quite an achievement! Thank you Hannah! I thought the glitter jam was a lovely and unusual idea. Perhaps good as part of a Christmas gift…?